Anthropology and migration : essays on transnationalism, ethnicity, and identity / Caroline Brettell. Blue horizons : anthropological reflections on maritime lifestyle migrations in the Mediterranean / Nataša Rogelja. Dictionary of race, ethnicity [and] culture / edited by Guido Bolaffi... [etc.]. Hrvati i Amerika / Ljubomir Antić. Imagined societies : a critique of immigrant integration in Western Europe / Willem Schinkel. by Schinkel, Willem, 1976- [author.]. Migrant returns : Manila, development, and transnational connectivity / Eric J. Pido. by Pido, Eric J [author.]. Migration and culture / edited by Robin Cohen and Gunvor Jónsson. by Cohen, Robin, 1944- | Jónsson, Gunvor. Migration and Identity : Historical, Cultural and Linguistic Dimensions of Mobility in the Balkans / Editor: Petko Hristov. Migration and mobility in the European Union / Christina Boswell and Andrew Geddes. by Boswell, Christina, 1965- | Geddes, Andrew. Migration, development, and transnationalization : a critical stance / edited by Nina Glick Schiller and Thomas Faist. by Schiller, Nina Glick [edt] | Faist, Thomas, 1959- [edt]. Prvih deset godina razvoja sustava azila u Hrvatskoj : (s osvrtom na sustave azila u regiji) / urednik Drago Župarić-Iljić. by Župarić-Iljić, Drago [aut , edt , aui] | Lalić Novak, Goranka | Goldner, Iris | Bačić, Nika | Bakalović, Vanja | Budimir, Tatjana, pravnica | Paska, Ana | Tučkorić, Lana | Baričević, Vedrana | Vidović, Tea | Pupačić, Sanja | Kadoić, Maja | Orišković, Branko | Bužinkić, Emina | Kranjec, Julija | Petrović, Nikola, sociolog | Jelačić, Miroslava | Prcanović, Emir | Dimov-Markovska, Dona. Tarara : Croats and Maori in New Zealand : memory, belonging, identity / Senka Božić-Vrbančić. 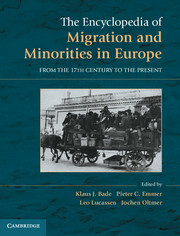 The encyclopedia of migration and minorities in Europe : from the seventeenth century to the present / edited by Klaus J. Bade ... [et al.] ; editorial assistance Corrie van Eijl ... [et al.]. by Bade, Klaus J | Eijl, Corrie van, 1949-. The ethnicity reader : nationalism, multiculturalism and migration / Montserrat Guibernau and John Rex. by Guibernau, Montserrat [edt] | Rex, John [edt]. by Fiddian-Qasmiyeh, Elena, 1978- [edt] | Loescher, Gil [edt] | Long, Katy [edt] | Sigona, Nando, 1975- [edt]. Virtual migration : the programming of globalization / A. Aneesh.